Situated on the stunning mountains of Valtellina, Aprica is a truly stunning natural plateau between several mountain ranges in Italy. Standing at a height of 1181m, the resort offers 50km of ski slopes and an inviting atmosphere that will make skiers and snowboarders feel right at home. In 2006, the Baradello 2000 ski area was introduced, where visitors can benefit from an extra 15km of excellently maintained snow and a host of different runs. Aprica has a fantastic atmosphere and benefits from some truly exceptional views for skiers. With a charming vibe and a peaceful atmosphere, this is a great resort for those wanting to escape the hustle and bustle of big crowds. 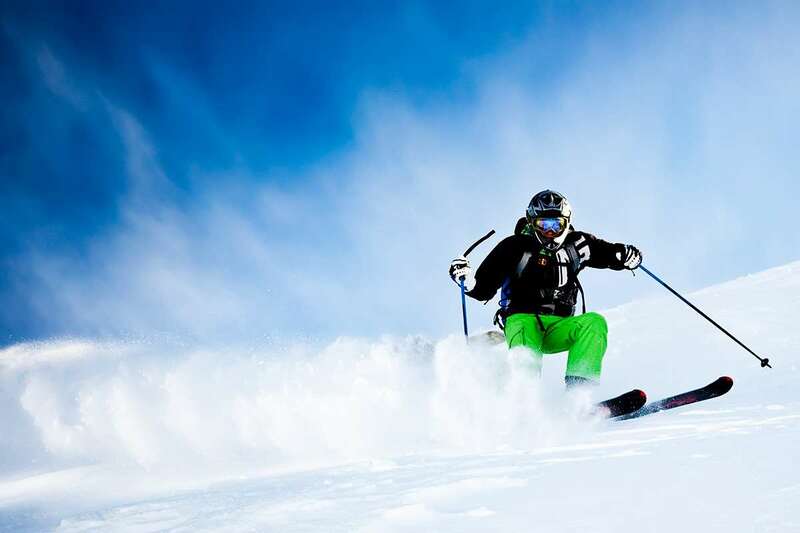 There is a great learning curve for skiers and snowboarders to benefit from, with a selection of beginners routes alongside some harder intermediate and expert runs to help visitors gradually improve their abilities. 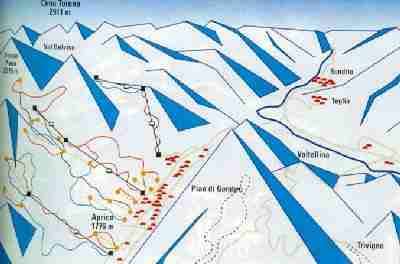 One of the main selling points of Aprica is the variety of runs available. The Superpanoramica course is particularly popular and covers more than 6km of downhill terrain from 2000m to the town. There are 16 pistes overall for skiers and snowboarders to choose from. Runs in the resort move through the local forest with a wide variety of scenic routes that truly epitomise the peaceful atmosphere of the Italian Alps. It’s a particularly great resort for beginners, with plenty of ski schools available. The season at Aprica runs from December to April and the resort’s altitude makes for some excellent sunny conditions. In the event of a dry spell, natural snow can be augmented on 32km of runs. Apres ski in Aprica is varied with plenty for people to see and do. Once you’ve returned from the slopes, you can relax and see a film at the village cinema, chill out in the indoor swimming pool or try out some of the amazing local wines available. The closest airport to Aprica is Bolzano, which is just one hour and 20 minutes away.